Metahuman Martial Arts Returns for Mutants & Masterminds 3e with a Kick! Looking to add some fist-flying, kick-wheeling mayhem to your game? Bring martial arts out from the obscurity of using existing rules to “fake” a fighting style by transforming the combat arts into a more direct and specific aspect of the game, allowing martial arts to stand on its own two feet. Metahuman Martial Arts was the most extensive, largest third-party rules supplement for the second edition Mutants & Masterminds rules, surpassing even Better Mousetrap also by Misfit Studios and the re-release can make the same boast for third edition. Written by Steven Trustrum, contributor to the DC Adventures product line, this hefty martial arts sourcebook (350+ pages) covers everything from how to introduce expanded and detailed martial arts into your game to making your own fighting styles from scratch. Inside you will find a broad range of new game mechanics (advantages, extras, flaws, new game mechanics, and more), and entirely new rules that will make your combat sessions more exciting (and dangerous) while underscoring the belief that martial arts should not fade into the background as mere window dressing. 17 Character Archetypes suited to martial arts-oriented games, including the Chosen One, Heroic Luchador, Wheelman, and Zen Gunslinger. 5 New Villain Archetypes, including the Dishonored Samurai, Grandmaster of the Forbidden, and Warlock of Fist and Foot. More than 160 different forms of Fighting Styles / Martial Arts! This includes those taken from real life, plus cinematic, fantasy, preternatural / supernatural, and metahuman styles. This includes a number of Fighting Stances, and Fighting Style Extras and Fighting Style Flaws to breathe life into each martial art. Dozens of Basic Combat Maneuvers ranging from a simple unarmed attack to a headbutt or jump kick. An arsenal of Advanced Combat Maneuvers, including Bank Shot, Catch Missiles, and Hail of Bullets. You also get expansive details and guidelines to help create your own combat maneuvers. New and Expanded Skills, including which skills are required or best suited for use with martial arts. More than 150 New or Expanded Advantages, including updating the new Martial Arts Advantage category. Many make use of the new rules found elsewhere in this book. 2 New Power Effect (Communal and Extra Attacks), 25+ Power Builds, 13 New Extras, and 20 New Flaws. 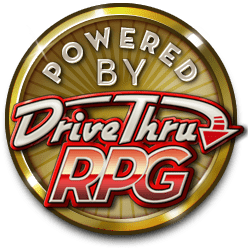 New rules include an Expanded Vehicles Size table, New Complications, Personal Challenges, Hit Location tables and results for people and vehicles, Disabling Critical Hits, New Actions, and more! A wealth of new, revised, and expanded Weapon Qualities to flesh out the many provided Melee and Ranged Weapons, including Trick Arrows and Improvised Weapons. This book's armory also includes new details for Headquarters. Details regarding the legendary Shambhala, as well as the villainous Wu Shen Zhua secret society and Shiryou Ninja Clan. We've also tossed in a number of solo hero and villain write-ups to get you started. 7 Rank & File Stock Minions, including the Driver, Gunfighter, Hashishin Assassin, Luchador Rudo, Ninja, Streetfighter, and Yakuza. Each is provided with a "low-level" and "high-level" version to challenge characters of all PLs. ... and just about everything you would expect to fill the spaces in-between. 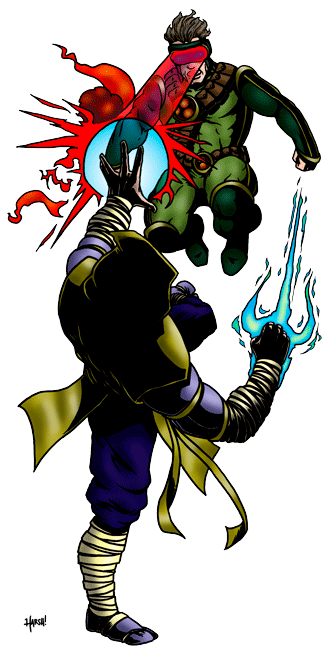 So, pick up your copy of Metahuman Martial Arts 3e and be prepared to fill in many of the missing pieces that have been absent from your Mutants & Masterminds game! This product makes extensive use of game mechanics appearing in Better Mousetrap, also available from Misfit Studios. Read this blog post if you are a third-party publisher interested in licensing free Metahuman Martial Arts 3e branding for your own Super-Powered by M&M products.